It appears Capcom Japan have gone ahead and revamped their Rockman Zero Collection website for a third time; the new page is a lot cleaner and, frankly, a bit more user friendly than previous incarnations. Ciel's room consists of storyline summaries and a streaming trailer. Cerveaus's room offers bios for various characters, weapons and Cyber Elfs. The Game Info room details Zero Collection's latest features such as the gallery mode, mod cards, customizable controls, etc. Pretty much a summary of everything we've known about the game. The Download room offers nine downloadable desktop wallpapers at varying sizes. The final room, Alouette's, is currently inaccessible. It's contents are unknown. Also new to the site are special messages from the game's staff members, namely, Takeshi Horinouchi (producer), Ryota Ito (planner) and Masaya Suzuki (character designer). Hopefully, someone will get to translating those shortly! Update: Sensei Hanzo has provided a translation of the developer's messages. You can read the transcript here. Both the individual and set of 12 figures were readily available for purchase, says Ryan. Online shops who plan on selling the figure, namely, Big Bad Toy Store and Entertainment Earth, aren't shipping them out to customers just yet, it seems. I imagine you'll be getting a shipping confirmation any day now. 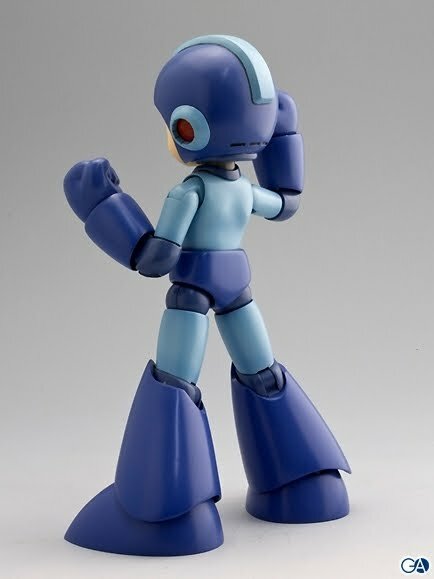 In related news, Japanese consumers have begun snapping photos of the individual figures, which reveal a surprising lack of paint job quality when compared with the figures' advertised counterparts. Thought not a disaster, it's pretty surprising to see just how strange they turned out. Read up on that story over at The Mega Man Network. I'm thrilled to announce the blog received its 2 millionth page view tonight, a milestone that deserves a big thank you! Mad props to everyone: from all my affiliates and readers and tipsters, to the folks at Capcom who've graciously featured the blog on Capcom Unity this past year; all of you guys have my sincerest thanks. A special thanks goes out to my old friend Flash Man and the late Rockman Synergy webpage, where I got my start four years ago. This is truly a combined success. 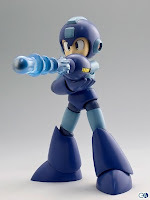 I hope to keep chugging along here every day, sharing with you the latest in Mega Man news and random cool stuff that comes my way. I've got some pretty big plans for the blog in the coming months, including a new layout (will be needing some help on that; mail me for details! ), new affiliates and a couple surprises. Thanks again. Here's to another million! Capcom's giving away a series of collectible Mega Man Zero buttons when you pre-order Mega Man Zero Collection from their online store. Twenty three in all, you get two (at random) when your order ships June 8. At the moment, this looks like an online only deal and might not apply to retailers like GameStop or EBgames. Check out all the buttons and pre-order your copy here. If you happen to be in Japan, specifically Nihonbashi, Osaka on June 6 or June 10, stop on by the local Sofmap to participate in a special time trial challenge event for Rockman Zero Collection. 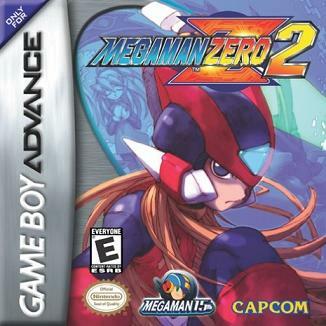 The event has guests attempting to beat the Rockman Zero 2 "bomber" time attack mode as fast as they can. The winner receives an exclusive Zero Collection poster signed by the development staff alongside a bunch of other nooks and crannies like stickers and pens. You'll even get a Capcom branded notebook just for showing up! If you don't live in Japan...guess this is meaningless! But hey, at least we got confirmation that Zero 2's multiplayer mode will remain intact for Zero Collection. 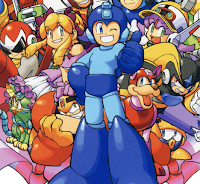 First off, Matt sends confirmation that the much delayed Mega Man ZX volume one manga will be in stores next Wednesday, June 2. Online retailers should follow suit shortly after, but comic book shops are guaranteed to have it on the 2nd. 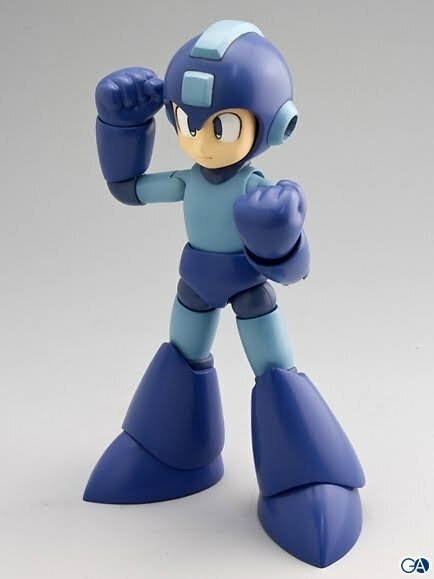 "Mega Man Battle Network reinvented the classic Capcom franchise as an exciting action-RPG, and reintroduced Mega Man to a whole new generation of gamers. Mega Man Battle Network: Official Complete Works collects the stunning artwork of all 6 Battle Network games, as well as Network Transmission and Operate Shooting Star. Inside you'll find character designs, promotional art, rarely seen pieces, and plenty of creator commentary. 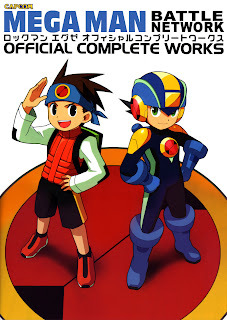 Mega Man Battle Network: Official Complete Works is a must have addition to any Mega Man fan's collection." As a bonus, Matt has passed along the tentative book cover. 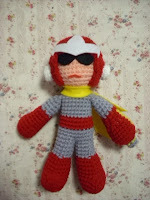 Many thanks to Matt for keeping us in the loop and UDON for bringing us more Mega Man goodness. 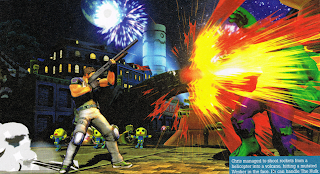 Capcom released a handful of high resolution Marvel vs. Cacpom 3 screens today, a few of which offer a MUCH better look at the Cattelox Island stage from Mega Man Legends. The youngest member of the Bonne family, Bon Bonne, can be seen floating in the water wearing his inner tube from the ending of Mega Man Legends 1. Looks like our previous speculations were right: Teisel and Tron are sitting on top of the Balcon Gelede mech. In the third screen, you can see the Gesselschaft flying by in the background. The tower in the background is definitely the first Ruins from MML1, although I don't remember it being that close to Cattelox. Third screen, there's a poster of Tron hanging off the side of a wall. Servbots are holding flares or something. 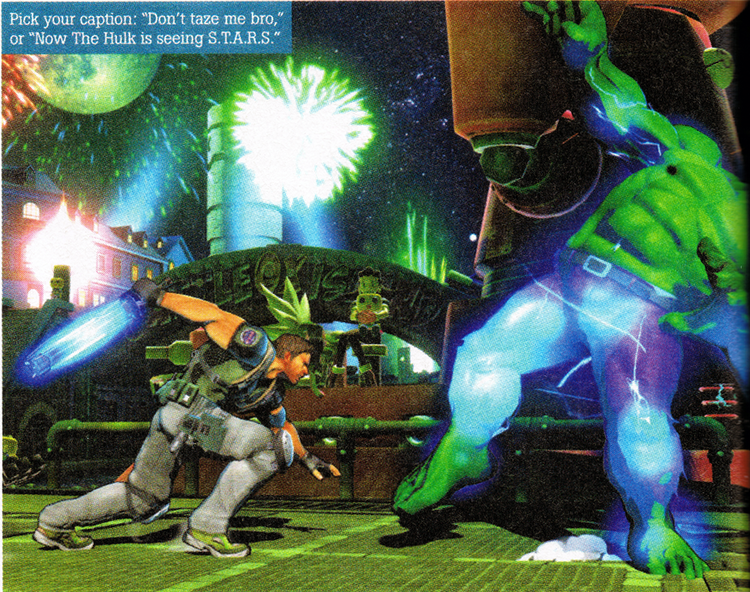 Again, because Tron is a background character here, her chances of being playable are slim. 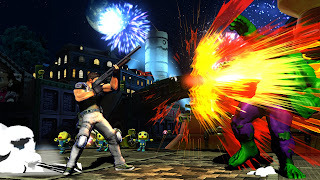 Traditionally, background characters in Capcom fighting games are usually limited to cameos and not necessarily playable. 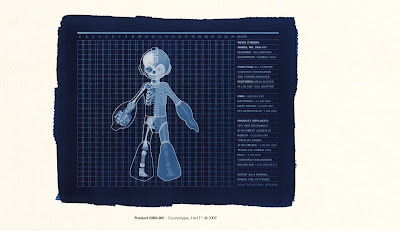 "My series pays homage to Mega Man by creating blueprints inspired by the characters from the video game franchise and displaying them in the same vernacular as a common product catalog. Each character reflects the current trend in the world’s economy that employees are expendable and machines are expected to be multifunctional. The inclusion of statistics and facts with each character further enhances the propaganda-filled experience with a clearly Pro-cyborg agenda. The main goal of my series is to make people think about the current state of the economy as well as the future state of industry. If companies begin experimenting with mechanical enhancements on people, will they then own those people as an investment? Can they sell and control these mechanized people like products? At what point does an employee become a machine? Or are all my references to man-machines simply metaphors for the way we’re already treated, due in large part to the current state of our economy?" Seems like a fascinating project, if you ask me. You can check out a couple more sample pages at Logan's official site here (click the Portfolio tab and scroll down to the catalog). The book is due out June 1st, limited to only 50 prints. You can order a copy of your very own directly through Logan's blog here. Thanks for the tip, Stu. 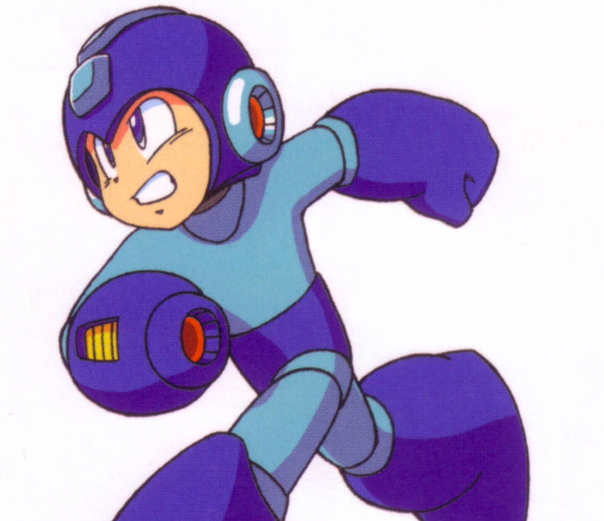 Beginning June 4th at 6pm CST, The Returners will embark on a 72 hour Mega Man marathon to raise money for the Alzheimer's Association, a group that promotes research, care and support of Alzheimer's patients and raising awareness on brain health. While the playing is happening, you'll have the opportunity to view a live stream of the action on UStream. They'll be playing through a total of 22 Mega Man games, spanning across classic, X and Zero series. Viewers are encouraged to donate funds during the marathon. Learn more about the marathon and The Returners at their official website here. IGN has posted up a preview for Mega Man Zero Collection and while it pretty much covers everything we've known for quite some time, it does include some spiffy new screenshots. "Because these are all GBA games, the bottom screen goes completely unused. It shows some nice artwork wallpaper of the game's characters, though. And the wallpaper changes as you progress through the game. Each new one you see gets unlocked to a gallery that you can browse later." For more details, read the full report here. Thanks, Klavier Gavin. Summer World Hobby Fair Dated; Will A New Game Be Revealed? It's that time of the year again. 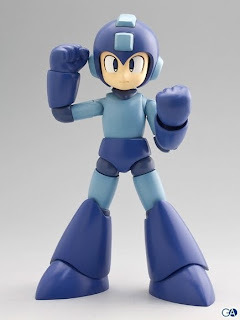 June 19th marks the opening day of the Japanese summer World Hobby Fair, and according to 4Gamer, Capcom looks to be one of the event's main sponsors. 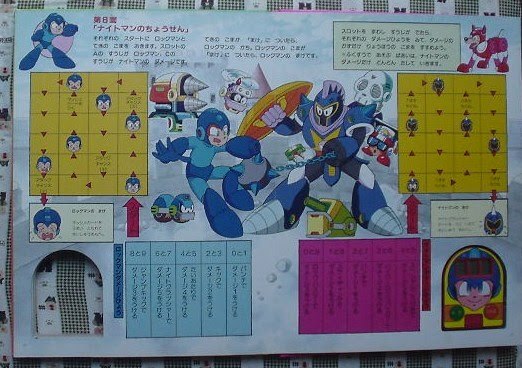 As such, one wonders if Capcom will be following the tradition of revealing a new "Hobby-style" Rockman game at the show. 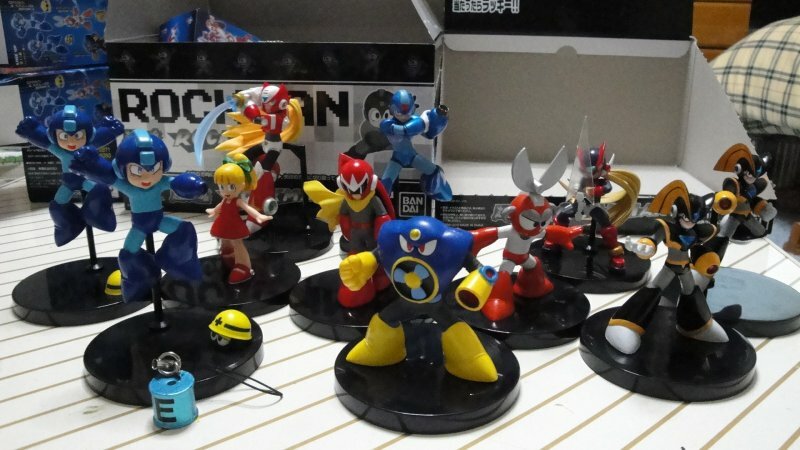 Last year, the summer WHF played host to the unveiling of Rockman EXE Operate Shooting Star. 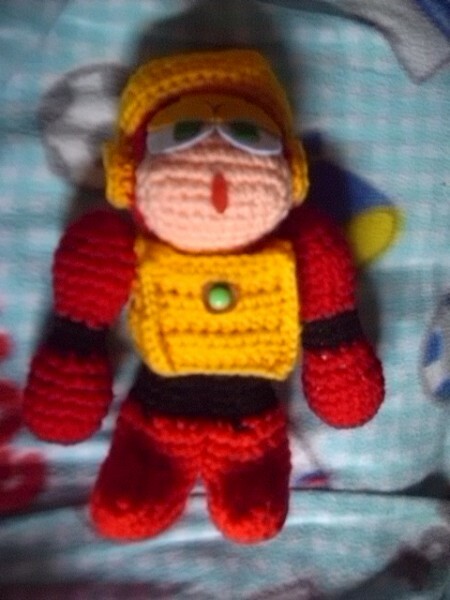 The year before, Shooting Star Rockman 3. 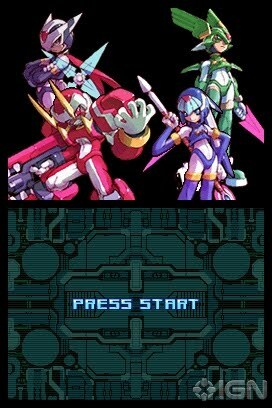 Before that, Shooting Star Rockman 2 and so forth and so on. Taking this pattern into account, it's possible we're on the verge of the unveiling of a new EXE/SSR styled game, but this is merely speculation; don't get your hopes up just yet. Coro Coro Comics also follows a similar tradition in that they tease forthcoming WHF Rockman announcements prior to the actual event. They haven't done so yet, but perhaps we'll hear something from latest issue, which ships mid June just before the show. Again, all speculation. There's a bunch of Mega Man/Rockman products coming our way within the next few months. From books and figures, to soundtracks and games, it's easy to forget what's coming out when. To quell the confusion, I've complied a handy-dandy cheat sheet, of sorts, to help you keep track of these releases, broken down into categories. Check it out after the jump! 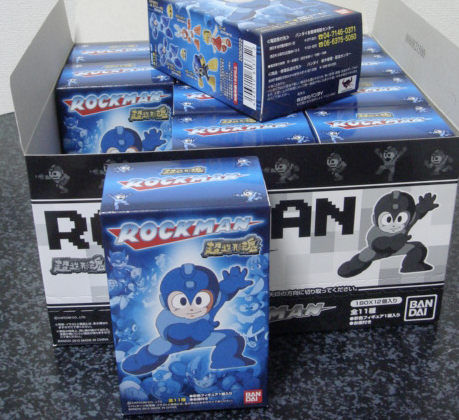 Yahoo Japan has a Famicom Box version of the original Rockman up on the auction block, an item that collector's will surely want to get their hands on. 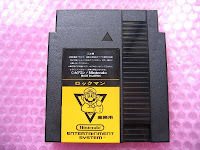 The Famicom Box variant of the game was manufactured specifically for use on the Nintendo Famicom Box, a module found mainly in Japanese hotels that's capable of holding up to 15 built-in Famicom games (click the link to read more about the system). Never sold publicly, this version of Rockman 1 is very hard to come by, let alone individual Famicom Box games in general. The game is currently going for a whopping 9,800 Yen (roughly $109 USD). If you're located outside of Japan, you'll have to bid through a proxy service such as Rinkya or Japan Auction Center. 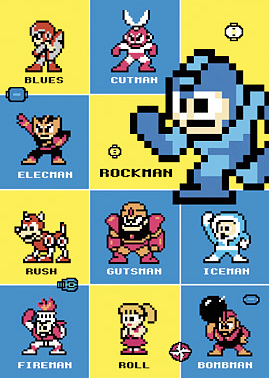 Capcom is releasing a Rockman 10 theme application for mobile phones today, according to 4Gamer. Japan-based iMode users can download the code by scanning this QR Code and laying down 315 Yen (roughly $3.50 USD). 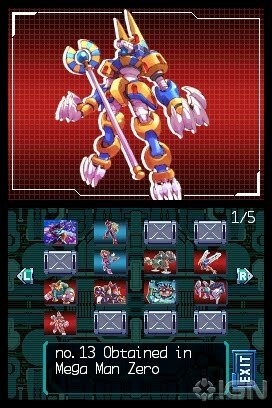 The app offers a handful of themes, sounds and wallpapers that turn your OS into a virtual Rockman 10 experience. Menus become the classic boss select screen, Beat delivers texts, Roll makes the calls and so forth and so on. 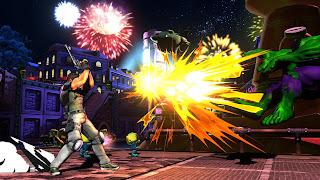 If you happen to have the means of obtaining the game, you can do so in the above link. Last week, in celebration of the upcoming Mega Man Zero Collection, Capcom Unity initiated an art contest based around the Mega Man Zero series. Each week fans would be tasked with designing artwork related to a specific game in the series, the focus of last week's contest being Zero 1. This week, it's all about Mega Man Zero 2. 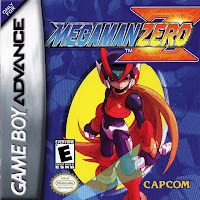 To enter, all you have to do is draw something in relation to Mega Man Zero 2, then simply submit your design to jgonzo via personal message with the subject "Mega Man Zero Fan Art: Week 2" and include a short description of your piece. Capcom staff will then judge your piece, and by May 24th, a winner will be chosen. 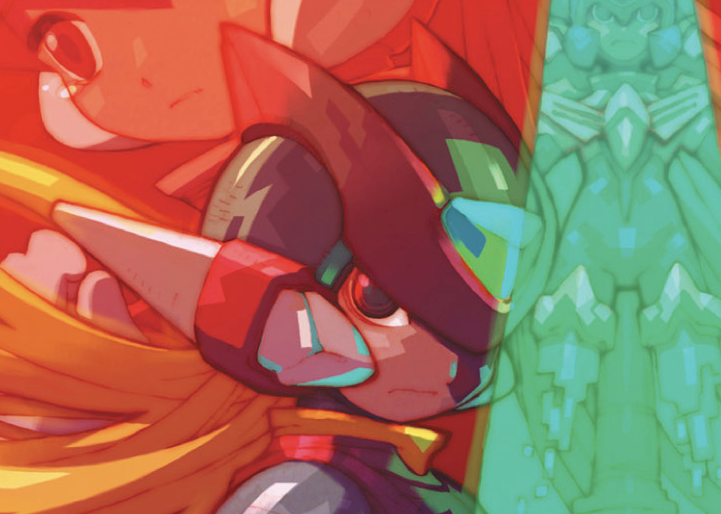 If you're lucky, you'll get a copy of the Mega Man Zero Official Complete Works art book and a free copy of Zero Collection when it releases June 8. See last week's winning piece here and complete contest rules here. Above, Mega Man and Zero (Zero series style) dot hero characters created by Capcom Unity members R. Case and zi11ion. 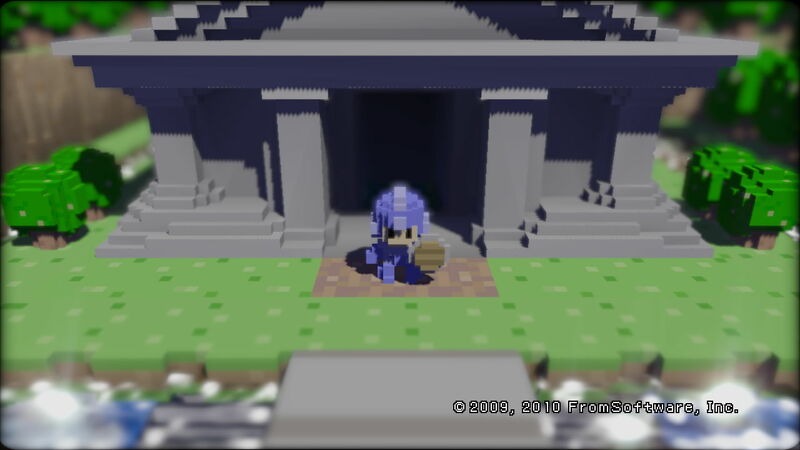 There's even some gameplay footage of Mega Man in action located here and here. Check 'em out! 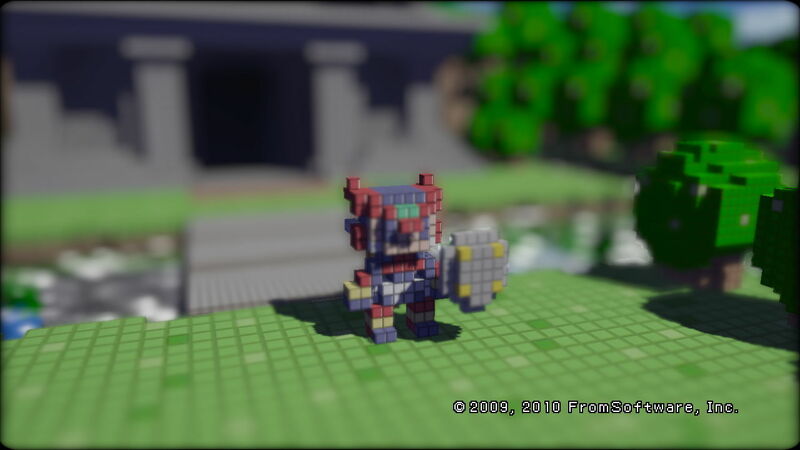 Do you have 3D Dot Game Heroes? 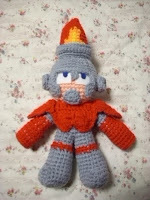 Have you created any Mega Man-related characters? If so, feel free to share images or even videos of your creations in the comments! Reader Ryan sent this in the other day. 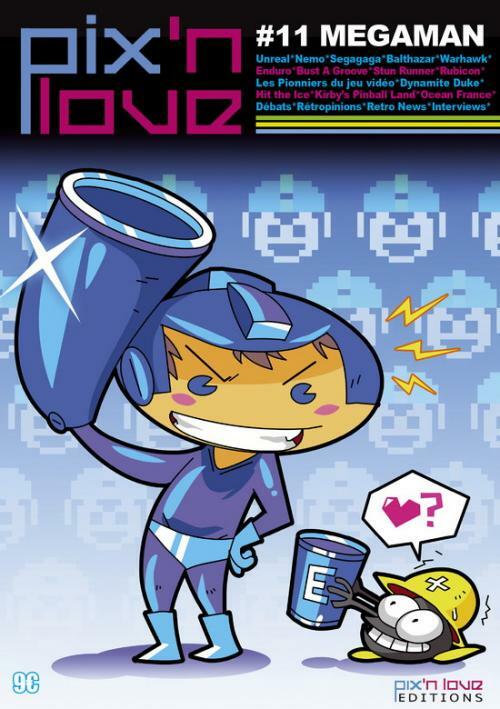 The latest issue of Pix'n Love, a French magazine devoted to all things retro-gaming, sports Mega Man on the cover. A hardcover version of the issue is also available, which features a variant cover. Check it out here. Incidentally, this particular issue contains an extensive article over the franchise's history and an exclusive interview with Keiji Inafune. Unfortunately, we don't have a scan of that yet, but expect to see an update by this weekend. Thanks, Ryan! Naturally, shipping and handling charges at any of the above retailers varies depending on your location. 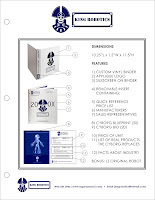 The kit ships later this fall in September; a specific release date has yet to be revealed. 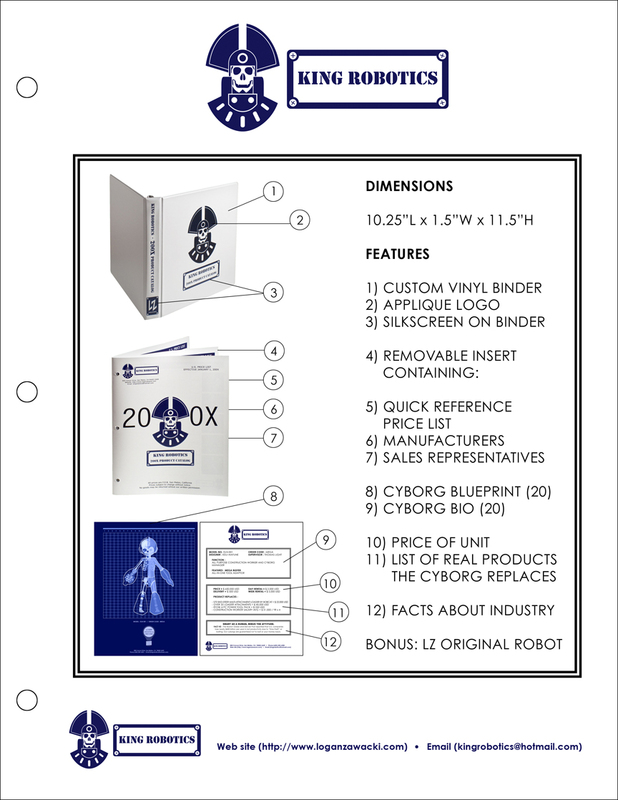 I expect more retailers will begin taking preorders for the kit in due time, so I'll be updating this post with more shops as they come in. 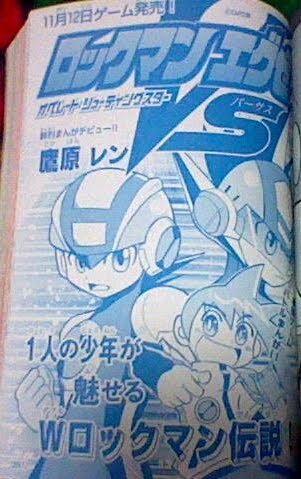 Wow, I completely forgot about Rockman VS, the mini-manga inspired by Rockman EXE Operate Shooting Star. According this Japanese blog, the comic saw its final chapter in last month's issue of Coro Coro Special, sister magazine of Coro Coro Comics. Rockman VS, originally marketed as a one-shot to promote the release of OSS, went on for an additional four chapters spread out throughout the remainder of 2009 and February, April 2010 respectively. 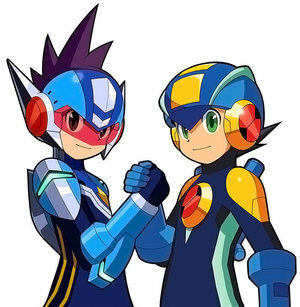 The story revolved around Raito Amino and his Navi Rockman.EXE on their quest to become strong enough to defeat a childhood rival and his Navi, Shooting Star Rockman. At this time, there are no plans to compile the manga into a single collected volume. 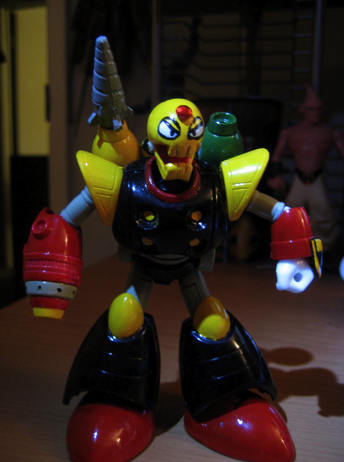 Last month, BC Direct showed off his homemade Doc Robot figure (of Mega Man 3 fame). The figure was met with mixed reviews from our colorful band of commentators with criticism largely directed towards the realistic skull face. Taking the criticism to heart, BCD went back to the drawing board and fashioned a new head that looks a lot more like the Doc Robot we know and love. MUCH better, don't you think? You can check out more of BC Directs creations at his blog here. Kotobukiya's Rockman Figure -- Now In Color! Today, Kotobukiya released a bevy of glamor shots of their upcoming 1/10 scale Rockman figure, which you can scope out below. The figure, slated to release this September, is fully poseable with over 20 points of articulation and a comes with slew of interchangeable accessories. A thing of beauty, no? Jazwares could certainly learn a thing or two from these guys! 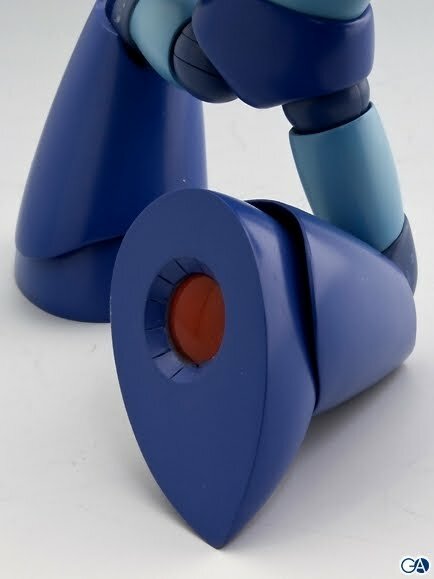 Pricing has yet to be determined, but if Kotobukiya's previous plamo efforts are any indication, expect Rockman here to run between $40-$60 USD. 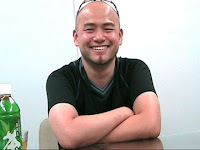 Platinum Games' Hideki Kamiya and creator of Bayonetta (and the likes of Okami, Viewtiful Joe) would really like to create a Mega Man game, this according to a series of tweets between Kamiya and Capcom's Shu Takumi. 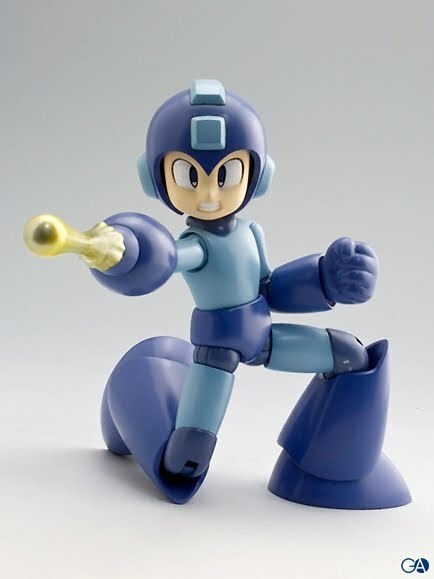 Kamiya's desire to have a hand in the Mega Man series stems back to his high school days in which he participated in one of Capcom's Robot Master design contests. His submissions, Planet Man and Aqua Man (no relation to MM8's Aqua Man) didn't win, unfortunately. Now a seasoned game designer, Kamiya has hopes of developing a Rockman game of his very own. 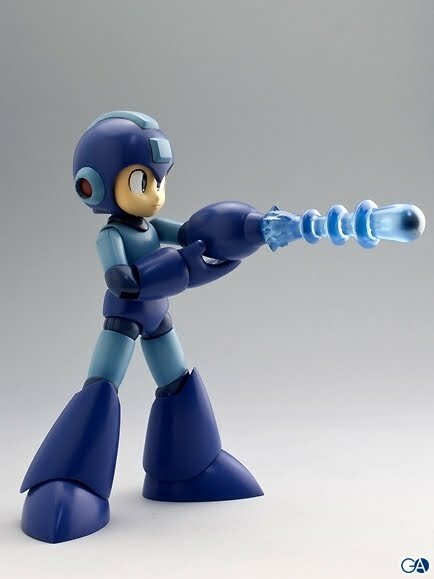 Making a Mega Man game for Capcom isn't his only dream project. Weeks earlier, Kamiya expressed an interest in developing a Star Fox game for Nintendo, preferably, be forced to make one...at gunpoint. For those interested, 1Up has posted an interview with Mega Man 10 composers Ryo Kawakami, Ippo Yamada and Chip Tuned Rockman album producer Hally. The trio mainly discuss their working with chiptune music, personal histories, involvement in the Mega Man series, and compare their individual styles to those featured at Blip Festival, a yearly celebration of game inspired chiptunes. Beating Castelvania with a DanceDance Revolution pad wasn't enough for Nick Hagman. 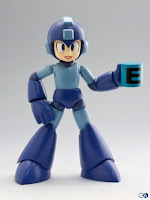 The footloose gamer is at it again, this time he's taking on Mega Man 2. 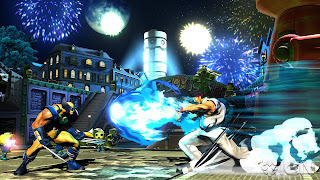 The battle continues at Capcom Unity where you can watch him tango with the likes of Quick Man and Flash Man. Fan made creations range from the sublime to the ridiculous. This one, an advertisement for E-Tank energy drinks by KingBrothersFilms, falls into the former. Mega Man's life saving beverage is actually a real consumable product courtesy of Boston America Corp. Cans are sold in packs of eight and singles in a wide variety of retailers, namely Hot Topic and Borders. You can order an E-Tank of your very own online from Amazon Amazon.com or ToyWiz for $3.99 a pop. 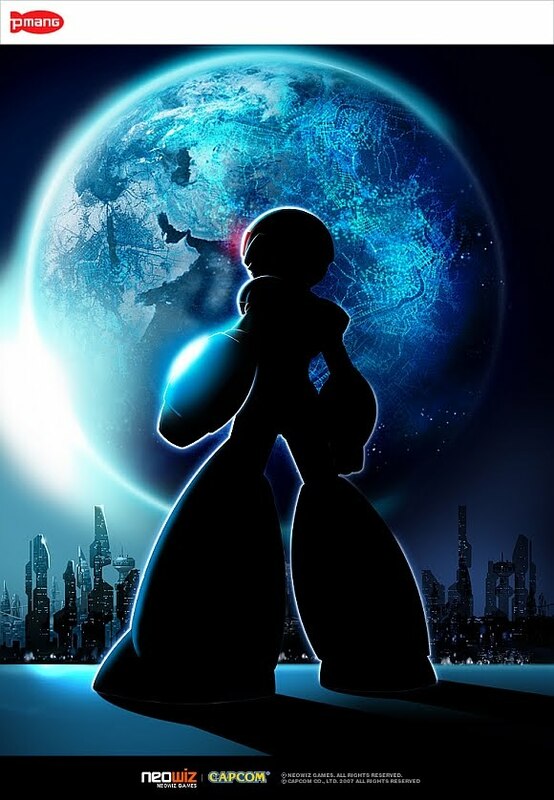 Mega Man Online Teaser Image? Some things seem to check out, with what little I can investigate. NeoWiz and Capcom are listed, and are obviously the creators of the game. “Pmang” is NeoWiz’s online casual game portal. However, some things still bug me. 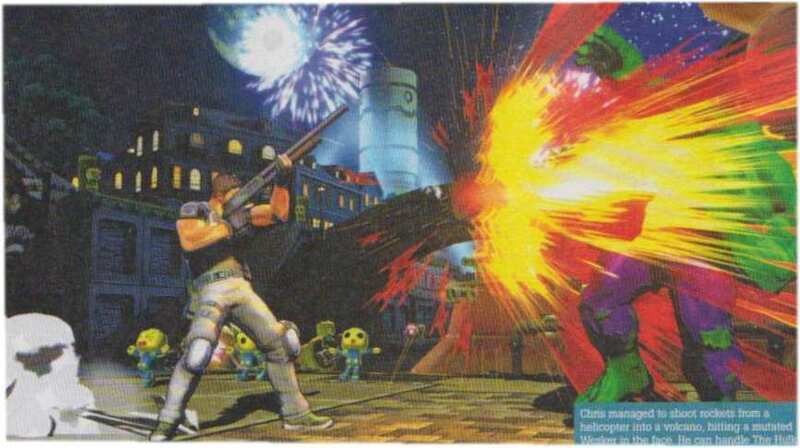 The image has no logo or other write-up, the Capcom copyright date is in 2007, and no sites outside of Korea have reported on this picture (until this one I suppose). It looks legitimate, that's for sure, but until something a bit more official pops up, I'd take this with a grain of salt. Similar to the robot master contests, this will be a weekly contest but will only run for 4 weeks. 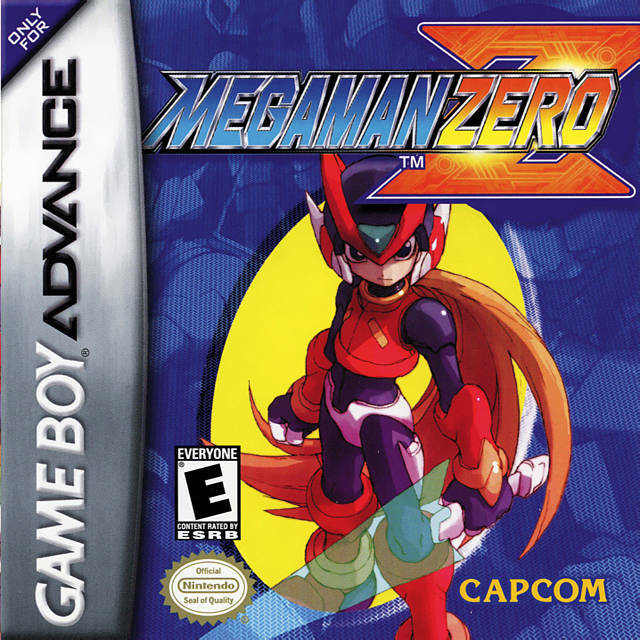 For week one, we'll focus on the FIRST game of the Mega Man Zero Collection. 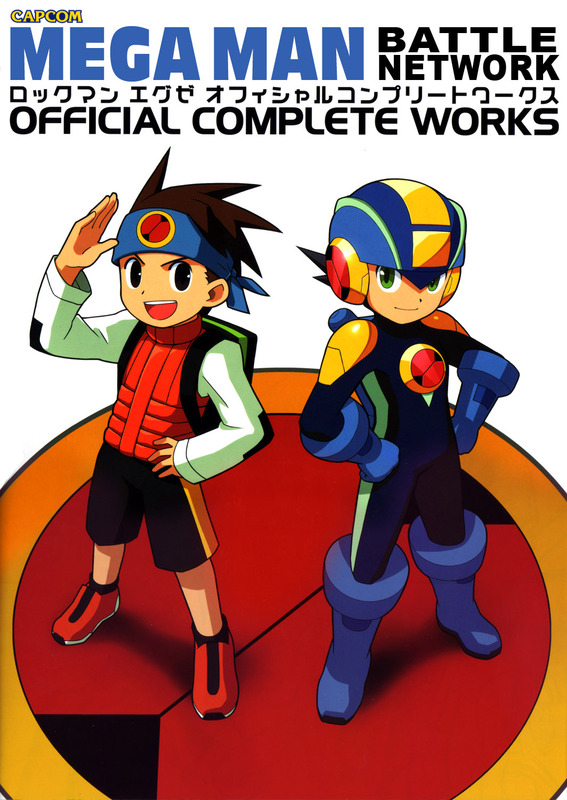 All you have to do is submit your best fan art that has something to do with the first Mega Man Zero game. 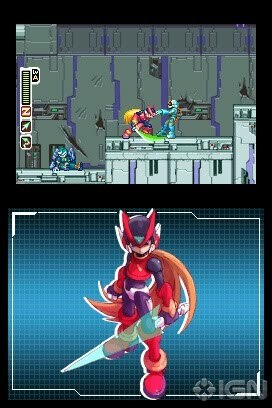 Even if you've never played the Zero series, you have to admit, the art style is certainly unique and inspirational! 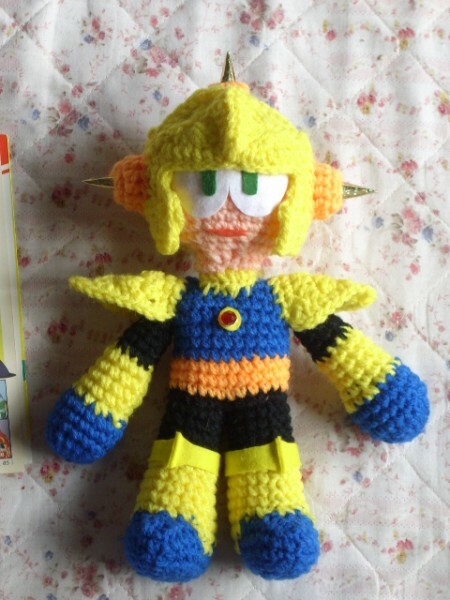 To enter, simply send jgonzo a message by May 17th at 9AM PDT with the subject "Mega Man Zero Fan Art: Week One" and a link to your submission. A brief description of your piece is required. What's a contest without prizes? Capcom's giving each week's winner a copy of the Mega Man Zero: Official Complete Works art book and a free copy of Mega Man Zero Collection. Unfortunately, you won't be getting an advance copy of the game as Capcom will ship it out to the winner(s) on June 8th. 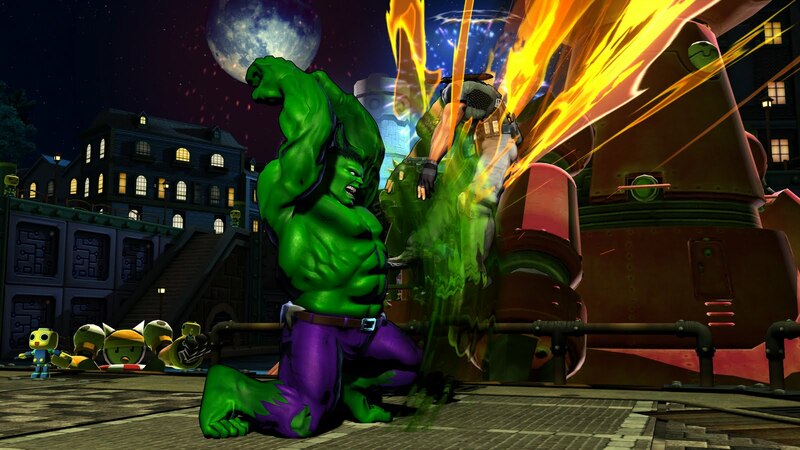 Head on over to Capcom Unity for the complete details. Kick back, relax and grab yourself a bucket o' pop-corn because Eddie Lebron's long awaited Mega Man fan-film is now online! You can check out the stream below or if you're hankering to see it on the big screen, Hunter College in New York City will be screening the film tomorrow, May 8th. More details on that here. UPDATE: The soundtrack for the film is now available for download! Grab it here! 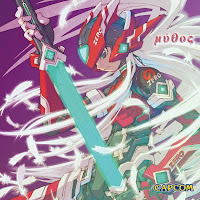 Inti Creates have pulled the wraps off of the cover artwork for the upcoming Remastered Tracks Rockman Zero soundtrack. Once again, the art is handled by Toru Nakayama, and I must say, this has quickly become one of my favorite pieces he's ever produced. You can check out a much better look at the art on Inti's homepage here. The CD is due out June 10th. In related Zero Collection news, the June issue of Nintendo Power is featuring a two-page preview for the game which details the addition of mod cards and the new easy mode scenario. According to the article, the mod cards are indeed the Japan-only Zero 3 e-Reader modification cards, which alter Zero's abilities and various graphics such as the appearance of the Resistance Base. 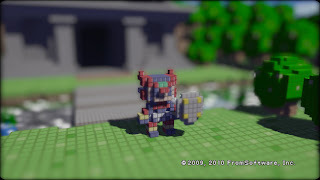 It's unknown at this time if the game will include the Battle Network 4 link-up features and the various mini-games. Exclusive to Zero Collection is a new easy mode. Here, the player is given more health, four Sub-Tanks and instant access to every Cyber Elf. Apparently, as a trade off for the easier difficulty, you're forced to play the games in order -- hence the much hyped "play the games in chronological order" feature. Of course, when playing in other difficulties, you're free to choose to play whichever game you want when you want. 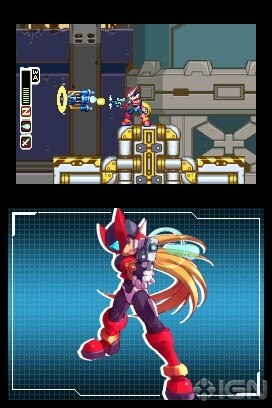 Mega Man Zero Collection will be out in the US on June 8th. But what about Europe? Well, according to a recent update on Capcom EU's homepage, Zero Collection has been given a solid European release date of June 11th, just days after the North American version and a day after Japan (June 10th). Not much else to say than that, but it's great to see it releasing alongside the others so soon. 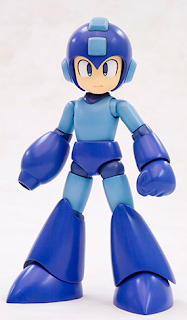 Remember how far off EU Mega Man released used to be? Sheesh. 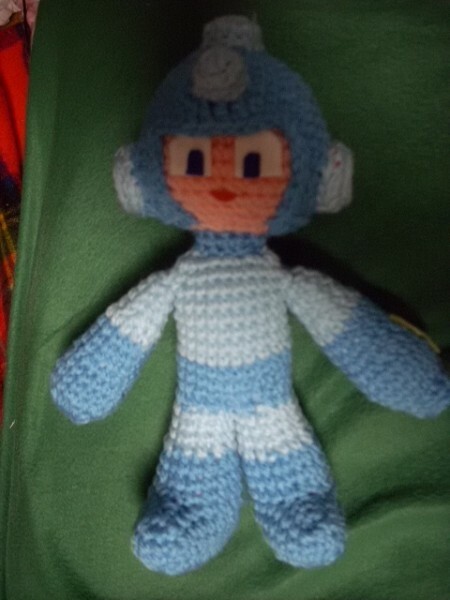 Crafty artist Juri sends in a few shots of her most recent endeavor: a series of six inch crocheted Mega Man plushies. 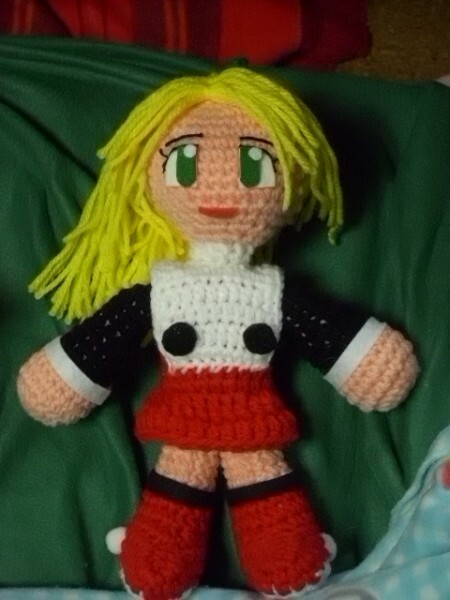 Juri plans on selling the whole set on Etsy in the near future, but not before she can produce multiples of each. Nevertheless, these cuddly guys should make for an excellent addition to anyone's collection! Thanks, Juri. 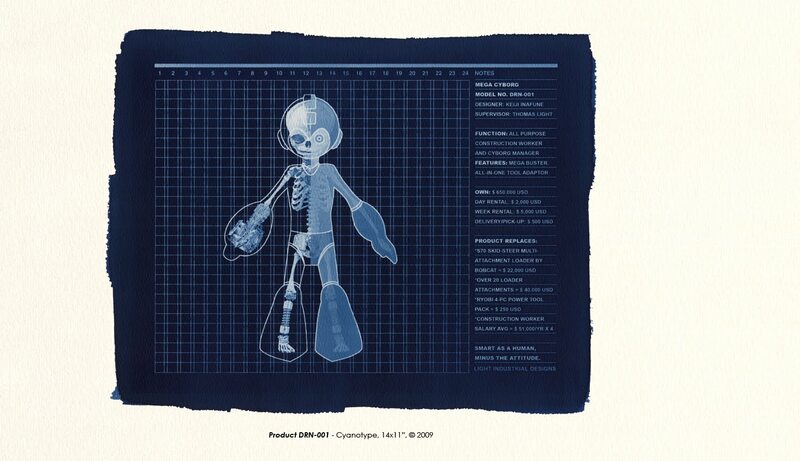 Is Nintendo Power Teasing Mega Man Universe? 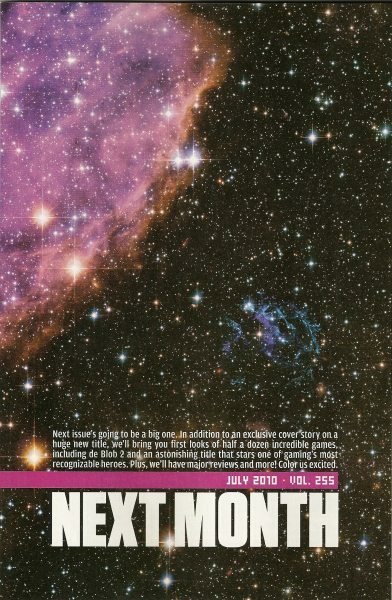 "Next issue is going to be a big one. 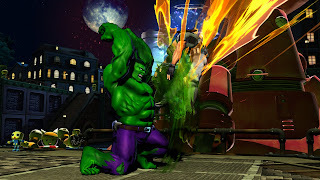 In addition to an exclusive cover story to a huge new title, we'll bring you first new looks of half a dozen incredible games including De Blob 2 and an astonishing title that stars one of gaming's most recognizable heroes." Though it might be a bit of a stretch, if you couple the bolded statement above with that background of the universe, it's easy to relate this mysterious tease with the recently uncovered Mega Man Universe trademark. It wouldn't be the first time NP had an exclusive, surprise Mega Man reveal, after all. Now here's a neat little obscure item. 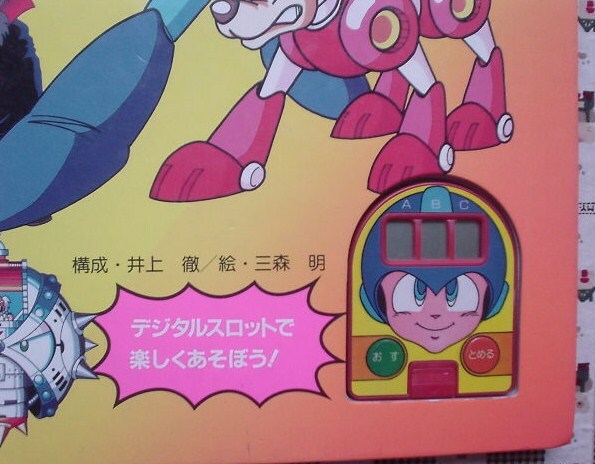 Reader James sent in these photos of an interactive Rockman storybook, produced sometime in 1993. Designed with children in mind, this easy-read has kids guiding the Blue Bomber in the fight against eight Robot Masters from Rockman 6. Each Robot Master offers a different activity such as solving puzzles, mazes and brain teasers. 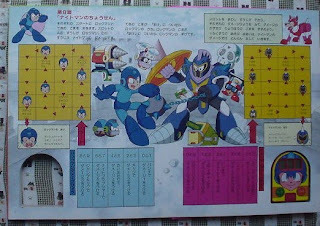 Completing activities yields a battle between Rockman and a Robot Master. 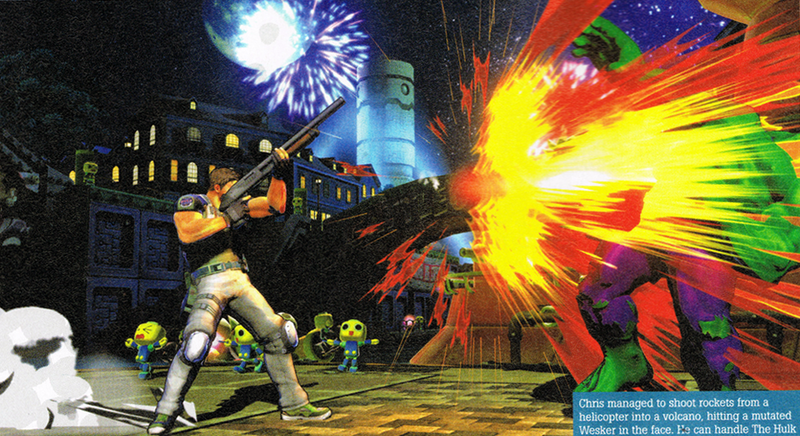 Battles are carried out through a "digital slot machine" (pictured above right) embedded within the book itself. Successfully line up a specific set of numbers, and the boss will be defeated. Sounds simple, but James notes he's yet to successfully defeat anyone. Nevertheless, the book looks to be a blast,...for kids and adults. If you're interesting in purchasing the book for yourself, be sure to scope out Yahoo! 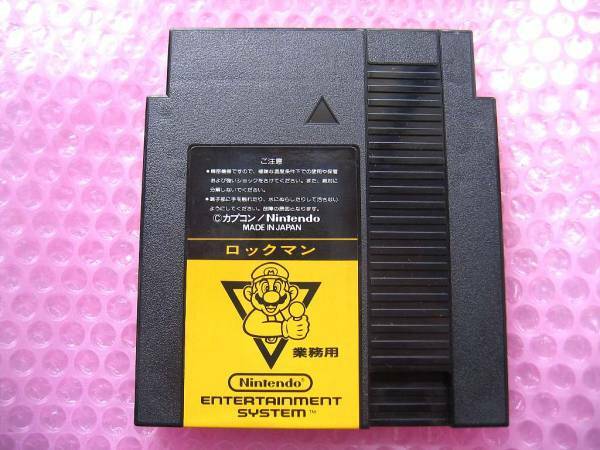 Japan Auctions as stuff like this pops up every now and then.